← Could Cumberbatch topple Brett? And more thoughts on THAT ‘suicide’ . . .
Holmes and Watson – who needed who the most? As famous friendships go, the Holmes and Watson partnership seems to have attracted more analysis than any other fictional duo. Partnership is an interesting word to use, inferring a degree of equality and co-dependency. Modern adaptations have demonstrated this dependency in different ways – compare the childlike, needy petulance of Robert Downey Jnr to the lonely ex soldier helping a person of questionable mental health relationship between Sherlock and John in BBC Sherlock. During a scene in The Hounds of Baskerville, Lestrade comments that ‘seeing familiar faces appeals to his (Sherlock’s) sense of…’, to which john replies, ‘Aspergers?’ – said with a mix of truth and irony. So who in the partnership is most dependent on the other? I have always had the impression that Watson would survive perfectly well enough without Holmes, but without Watson, Holmes would have floundered and remained a little-known amateur. Let us not underestimate the importance of Watson’s writings, without them the world would never even of heard of Sherlock Holmes. And whether he liked it or not, Holmes did need that fame. It brought him clients, including high-profile ones, and therefore the money to survive. We only know of Holmes’ greatness through Watson. It’s like that strange old saying about the tree in the woods – if a tree falls in the middle of a wood and no one is there to hear it, does it make a sound? Would Holmes be great if Watson wasn’t there to tell people about it? Watson has social skills – he is able to make friends, fall in love, experience marriage. He has a profession too, something which can earn him a living and be done completely independently of Holmes. But without Watson, Holmes would live a friendless existence and possibly become consumed by his own demons – the drug taking and obsessive focus on work. But then, why does Watson keep coming back for more? Well, put simply, he chooses to. It’s not because he needs Holmes, but rather that he genuinely enjoys sharing in the adventures and cares for his friend. That’s the difference – Watson can make a choice and would be fine either way. Life would be less adventurous without Holmes, but a life none the less. Where would Holmes have been without his biographer and sounding board? As Sherlock comments in The Hounds of Baskerville (not exact quote) – ‘some people see the light, others are conductors of the light and you John – you are a conductor’. Watson was an integral part of Holmes’ thought process, and he also acted as a counter balance, softening out the hard edges at the perimeter of Holmes’ complex personality. Without Watson, I argue that Holmes would have been incomplete. Without Holmes, Watson might have been bored, less-travelled, unpublished and unknown but would be a successful practitioner with a family and friends – children and grandchildren happily filling up the years. He didn’t need Holmes, but rather he chose to share his world. This entry was posted in Dr Watson, Sherlock Holmes and tagged Dr Watson, robert downey jnr, Sherlock Holmes. Bookmark the permalink. 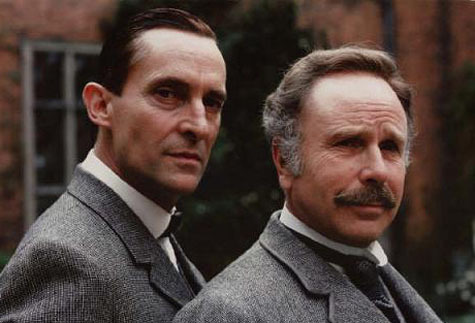 12 Responses to Holmes and Watson – who needed who the most? This is really fascinating! My conclusions are different-I think it’s far more 50/50, but this is well done. Thanks Amy – you could be right as it’s all just a matter of interpretation really. I just think that Watson’s social skills and ‘normality’ would have helped him to achieve a happy life without Holmes – but it wouldn’t have been anywhere near as exciting! Someone will need to refresh my memory, but as I recall an eminent Sherlockian (please, someone fill in the blank) said, “Without Holmes, Watson would have died of boredom. Without Watson, Holmes would have gone mad.” That seems to sum it up as well as anything. the quote, or something like it, was said by brett. i’d have to look it up again to be sure what he said. 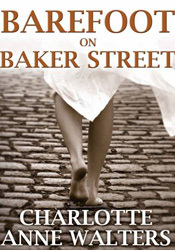 Thank you for a fascinating read, Charlotte! I agree with you, at least partly. For most Watsons that is most certainly true (especially Granada and the dreadful films), but there are adaptations where they are less depended on each other, where even Holmes would survive rather well without Watson (maybe minus the fame). Maybe not happily so, but he could. And then there’s the BBC version, of course. There the matter is rather 50/50, I think, at least in the beginning. That John Watson needs Sherlock Holmes as much as the other way around. He needs what Holmes offers him to feel alive/return to life after Afghanistan. It may have changed slightly during the course of the series, but in the beginning the two of them do need each other – and what the other has to offer – equally to feel complete, maybe even to live a complete life. I agree that in BBC’s Sherlock, the degree of need between the central characters is more evenly placed than in the original canon. Here we see a Watson/John who hasn’t managed to have a successful relationship with a woman, doesn’t practice medicine (except for brief stints as a locum), doesn’t really have other friends that we know of and no sign of marriage on the horizon. He was, as he tearfully states beside Sherlock’s ‘grave’, “so lonely” before Sherlock came along – and there was, of course, that war-wound which cleared up as soon as their adventures together took his mind off it. John certainly does need Sherlock and it will be interesting to see how he copes without him for three years. Delighted that you enjoyed Barefoot and very much looking forward to your thoughts on it. Thank you so much for recomending it to your friends, word of mouth makes all the difference. Perhaps some of your none-Sherlockian friends would enjoy it too? 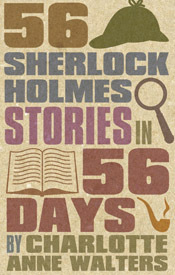 The book was created with a mainstream audience very much in mind as well as those who enjoy reading about Holmes. Very interesting point to discuss. Maybe in the canon Watson is more indipendent, but Moffat and Gatiss create a very complex relation. Holmes and Watson need each other for different raisons. I think that this Watson is much more modern and sensible than the original. Wrong word. I mean sensitive, not sensible. Sorry :-). This has been discussed so often, even in academia! It’s such an interesting question! The ‘Watson Problem’ was even introduced early on by people playing ‘the game’ (pretending Holmes was real, for the uniniciated ^v^), and several people argued that the stories after Reichenbach were actually false and entirely of the imagination of Dr Watson, who, either through economic needs (in Empty Room, he is once again widowed, and it was suggested that he had a taste for high living that he couldn’t quite afford) or simply as he missed his friend and colleague so much, continued to ‘pretend’ that Holmes was still alive and well. This last one would suggest an interdependence rather than something more one-sided on Holmes’ part. The Empty Room again seems to clinch it for me; After Holmes (dramatically!) reappears to his friend, Watson doesn’t think twice before selling his practice and moving back in with his old friend – but it is also Holmes who arranges for the quick and lucrative sale, as Watson reveals he later found out it was a distant relative of the detective who had done the buying, possibly with Holmes’ own money. So I tend to agree with Don Kraar! i believe holmes need watson more than watson needed holmes. tho, that all depends on what you choose to read between the lines of the canon in “the game”. In the BBC version, at least, I feel that at the beginning, John needs Sherlock more, and then gradually it evens out (and eventually the scales may even tip the other way). Martin Freeman has stated in interviews that he thinks Watson was severely depressed after Afghanistan, so if he’d never met Sherlock, he might not have been able to pull his life back together, and who knows what would have happened…Sherlock, on the other hand, seemed to be doing more or less all right for himself before John came along and started bringing out his more “human” side…He doesn’t really care about fame or about what people think of him, so the fact that he became hugely successful due to the blog doesn’t really factor in one way or the other. However, having John as a flatmate/friend has anchored him down a bit, and brought out some of his more admirable qualities as a person. It’s also caused him to realize that there are things (and people) he honestly cares about, so if John left suddenly and abandoned him after they’ve forged such a strong relationship, he might even be genuinely heartbroken. I found this page while performing an idle Google search regarding the subtle D/s relationship overtones that I seemed to find while re-reading the Hound of the Baskervilles…I had no idea that this was a rather popular idea/fantasy within certain fans of Baker Street. I’d just like to point out that while I do think your observations are on target, I’d like to also point out the juxtaposition between their roles during Holmes’ productive periods and his inevitable periods of intellectual ennui, where their roles seem to immediately and comfortably flip, as Holmes is completely incapable of taking care of himself and proceeds to spiral into a pattern of self-neglect and often self-abuse. When this happens, Watson is his caretaker and his rock, without whom Holmes would continue to disintegrate. These aspects are not uncommon is the D/s world, and could be compared to either a D/l relationship or more simply Dom drop, since these phases often take place after the close of an exhilarating case.